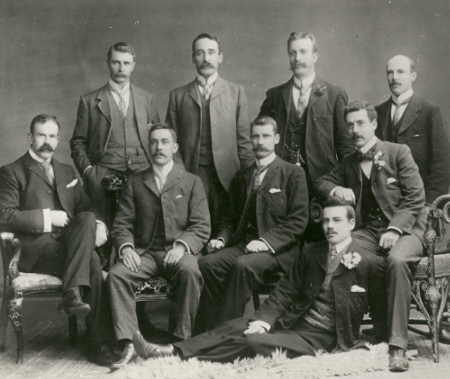 Former SMB mining student Alfred Johnston was the son of Charles Johnston of Cork, Ireland, and Elizabeth Jameson, the family owning a large furniture store in Fitzroy. 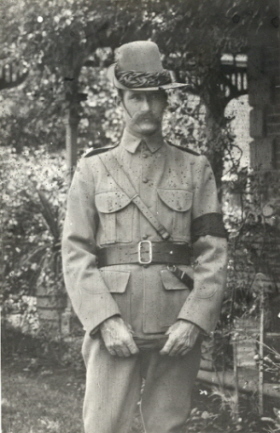 Alfred joined the Fifth Victorian (Mounted Riffles) contingent at the Melbourne suburb of Hawthorn. 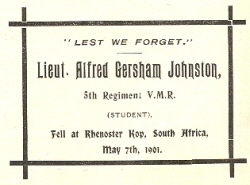 The SMB Annual Report of 1901 recognised the loss of one of their students: 'Mr Johnston was, until the date of his leaving for active military service in South Africa, one of our students. While here besides being regarded as a general favourite for his urbanity and manliness, he was noted as a faithful, diligent, and most successful student. The news of Lieutenant Johnston's death cast quite a gloom over the school and it was early decided that in addition to a letter of condolence sent to his parents a bronze tablet, suitably inscribed, be erected to his memory in some prominent part of the school. On the 4th November last the ceremony of unveiling the memorial tablet was performed by Professor A. Mica Smith in the presence of several members of the late Lieutenant A.G. Johnston's family, the President and Members of Council, the Staff and Students of the School, and a number of prominent citizens. 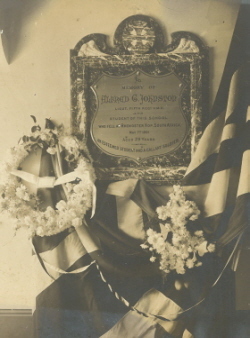 Alfred Johnston is buried in an unlocated grave. His SMB friends decided to erect a tablet at the school to the late Lieutenant Johnston. An appeals for donations was made, the SMB students magazine reporting that it had 'met with a handsome response from past and present students.' The SMB Council augmented the fund, and the memorial was dedicated with great reverence. Image Caption (Lower LHS): Obituary for Alfred Johnston from the SMB Students Magazine.